Allergies are no fun, but it’s important to understand what you’re dealing with when a family member has a pet allergy. 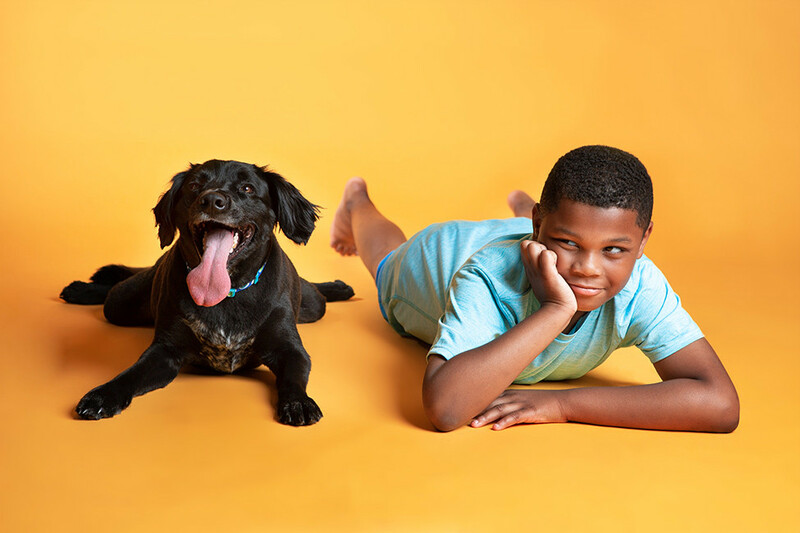 Cover Kid Winner Seth Bell, 8, has two dogs of his own at home. While it’s easy to love furry friends big and small, there are some who struggle with allergic reactions to those pets. Allergies can develop early in childhood or the sensitivities may not present themselves until later on. No matter the situation, there are ways to manage those allergic reactions and to understand what exactly is causing a flare up. Dr. Tamara Perry, an associate professor of pediatrics at the University of Arkansas for Medical Sciences and allergist-immunologist at Arkansas Children’s Hospital, shared her expertise on the subject with Little Rock Family. Little Rock Family: Specifically what about pets are people generally allergic to? Dr. Tamara Perry: Pet dander specifically refers to the flakes of skin that come off of the pet — any pet with fur. A dog cat, bird, anything with hair, fur or feathers would have that flaky skin that comes off. The allergen is definitely present in dander but it’s also present in other fluids or materials from the pet. Urine or saliva can also contain the pet allergen. What causes people to be allergic to pets? Typically people are not necessarily born with allergies but you can definitely be more predisposed to developing allergies after you’ve been exposed to the allergen … Some people develop allergies early in life — within the first year or two of life — and some people may not develop it until later in life. Most people with allergies do have other family members with certain types of allergic diseases. What does it mean if a pet is hypoallergenic? You definitely cannot rely on that. Even pets that are considered hypoallergenic — they still produce allergens. They still have the allergens in their urine or their saliva and most of them will still produce some dander that will contain the allergen. Some of those hypoallergenic pets either don’t have a lot of fur or have no fur at all or are species that have been bred to release less of the allergen. But they still release a very significant amount of the allergen. [The effects] depends on the person and how sensitive they are. Are there precautions you should take when bringing a newborn into a home with a pet? It’s difficult to predict if a baby will develop allergies but if you’re from a very allergic family I would suggest making sure that the baby’s sleeping area … where the child is going to spend the bulk of his or her time — should be allergen free. Keep the pet out of the bedroom so that the dander or other allergens don’t get into the child’s bedding or carpeting in their room. How can someone with pet allergies best prepare to visit a friend who has pets or be around animals? Make sure they’re always taking their allergy medicines as prescribed … And make sure that once they leave the person’s home with the pet to remove their outer layer of clothing so they don’t bring that allergen back to their own home and then to make sure they wash their hands and their hair because the allergen can stick to those surfaces very easily. Is there anything else people need to be aware of in regards to pet allergies? Pets are awesome but if they’re making you sick then they probably should have a new home or [you should] have the type of pet that you can keep outdoors instead of in your home because you want to reduce the amount of exposure you have as much as possible. Of course if you already have a pet that’s like a family member to you then you want to at least try to reduce the area in the home where the pet is present. Answers have been edited for length.